In which nothing much happens. Remote searching remains fruitless, which is not a tremendous surprise this late in the game, but I've been rewarded for my diligence already so why not keep trying? A random event gets me 150 gold. In the last couple of turns my research finally caught up with Arcoscephale. That puts me solidly in fourth place place on research, ahead of TheDemon and the two defeated players, and behind everybody else. Spoilers: Research remains a problem for me for the remainder of my time in this game. The reason I don't talk about it much any more is because I'm never researching anything you haven't seen. The last time I made a research post was when I was trying to get the Daughter of Typhon summoned and Gift of Reason-ed. At this point I just hit Alteration 4. Kind of sad in comparison. Anyway, let's hurry through this boring turn and see if I can get enough time to get two turns up in one post. The only visible action here is in the middle of the map, where I'm busy kicking Mictlan's shishis out of the Sauromatian heartland. So there were two battles, and both are interesting. The first was when I sent that Enarie and small group of Soothsayers to go take a province back. Their only blockers were the faeries that came with the Faerie Court summon (I only really wanted the mage anyway). Mictlan left a little bit of PD in the province to keep me from just capturing it with a scout. I'm not really comfortable with Communion, even though I was one of the folks who helped TheDemon formulate how much fatigue a slave gets each time the master casts something. This was my first real experiment with a communion of any size, and it was kind of a failure. The part that was scripted went well enough. In order, the 5 rounds went like this: Communion, Raise Skeletons, Raise Skeletons, Shadow Blast, Shadow Blast. My Enaries ended up with maybe 32 fatigue and the Soothsayers all had 83 or something. Then scripting ran out. On round 6 one of the soothsayers cast Personal Luck before the Enarie got to cast anything. Tony Manero over here basically just signed his own death warrant. The Enarie followed up with six more casts of Raise Skeletons. By the end, all of the Soothsayers had taken the maximum amount of fatigue (200 points) and had continued on to the point where they were suffering hit point damage instead. Of course, the soothsayer who managed to pull off a Personal Luck had another 23 extra fatigue or so and had been taking hit point damage for two extra turns. Mercifully the battle ended before he died, but he ended up with two afflictions (Lost One Eye and Mute) and I was reminded that if I wanted to keep these soothsayers alive then I would need to cast a cheaper astral spell like Nether Darts instead of all death spells all the time. I changed my scripting, but at what cost? Without his depth perception, old man Manero will never tear up the dance floor like he once did, and of course without his voice he won't be seducing any impressionable young women. Well, nearly as many. The ancestral spirits kept their opponents paralyzed for pretty much the entire battle, and even militia and skeletons can kill non-regenerating thugs that can't fight back. I had my Enarie/Soothsayer Squad move onward to take the other province that Mictlan raided from me. 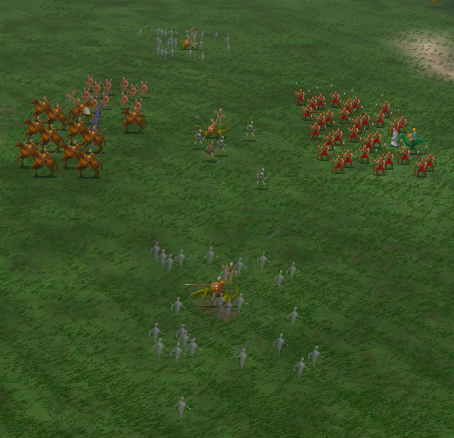 Otherwise I'm just shuffling troops around and doing other boring things. It's a quiet time for me. I'm tearing his walls down and I cast one Mind Hunt and one Earth Attack, killing two commanders in the process. This is a terribly boring way to kill an enemy, but at least it's pretty safe! In which even less happens. No new sites, and I hit Alteration 5 in research. I summoned my very first Cyclops, but you've seen those already. I also summoned my first Tarrasque. I don't know if we've talked about them yet but there isn't anything else going on so here we go! Behold its sinuous lines, its adorably stumpy legs. If dragons could look like corgis then they would resemble the Tarrasque, and since corgis are the greatest dogs, Tarrasques are the greatest dragons. 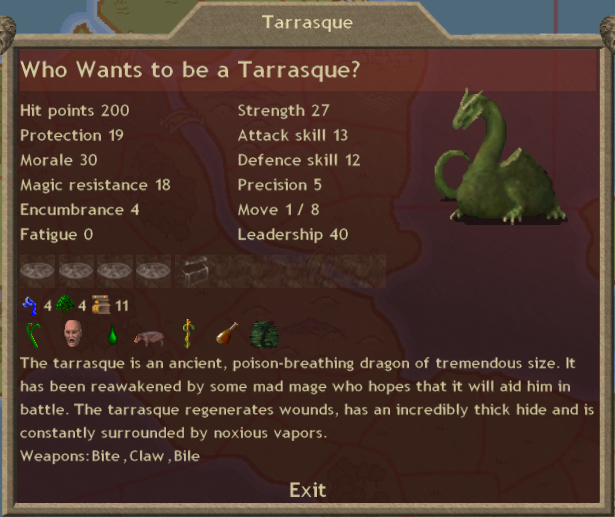 Q E D.
Out of the box the Tarrasque has 10% regeneration (20 hp/round on 200 hp total), fear +5 (greater area of effect), poison immunity, swamp survival, recuperation, and a poison aura. The turkey leg there is a supply bonus that is the result of his Nature magic. Let's talk about magic. The tarrasque comes with 4 ranks in 2 paths, compared to the kraken which comes with 3 ranks in 3 paths. This one has has Water and Nature, as you can see. They make good battle mages because of their high power, but their main downside is the same one that the krakens suffer: they only have 4 miscellaneous slots for magic items. I can't really tell you guys what other big dudes I manage to summon before this is all over for me because spoilers, but who wants to be a Tarrasque? And who wants to be a Cyclops? While you mull on that, here's another map. It looks a heck of a lot like last turn's map except now Mictlan has been completely driven out of my land, and also he has taken back a whole hell of a lot of territory from Pangaea. What is going on with friend Incy? Important knowledge about that communion: Communion, Power of the Spheres, Wrath of the Ancestors, Nether Darts, Nether Darts was much more effective. Sorry I don't have any good screenshots, but there's not much to see on this one. There is also the matter of Mictlan's sudden pushback against Pangaea. I had a talk with Incy in which I commiserated with him about being in an awkward position among world powers, especially when you're a replacement player. We had a good chat. I told him that I wasn't able to project much force but that I had to keep attacking him in order to pull my weight in the alliance. He totally understood, and he agreed to let me have a couple of provinces in exchange for my agreement to stay out of the way of his major troop movements. I was hoping that he would attack Hinnom the most but the reality of the situation is that Pangaea had been taking the lion's share of his territory and was therefore the better target. Whoops! I've breached the walls. 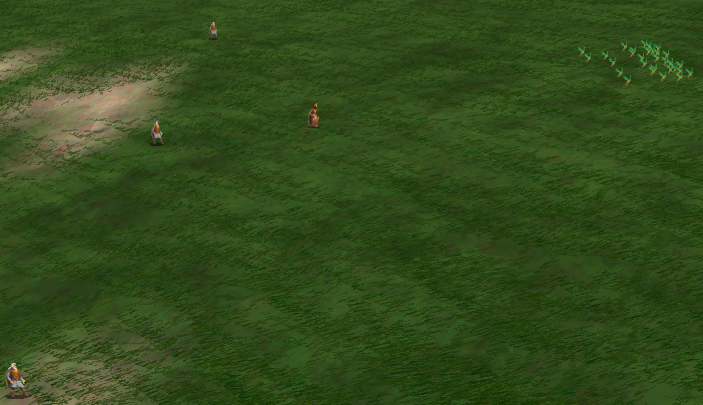 At this point I'm still sacrificing slaves and not storming the fort, but I'm also not casting remote attacks. My available casters were busy doing other things. The status quo continues. 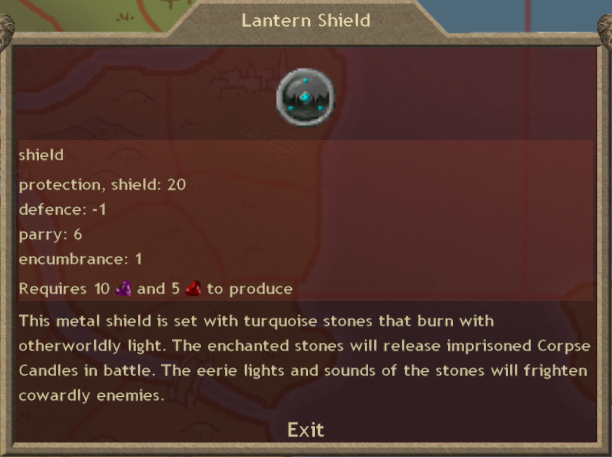 The lantern shield is one of my favorite items, because it automatically casts one of my favorite spells at the start of battle. Providing fear is nice too, but Corpse Candle summons a trio of spooky green flames from the edges of the battlefield. I love summons that come from the edge of the battlefield, because they have a tendency to ruin an opponent's carefully scripted plans. All of a sudden there are spellcasting targets that are much closer than any of my other units, and if they are ignored they can actually be quite unpleasant for the casters or commanders they reach. When I get to use it in battle I will be happy to show you!